Do you ever thought to switch ON and OFF your tube light, fan or any other home appliances just by pressing one button of T.V remote ? You might be thought long back, but you might not get the correct source to help you to build such project..
We need to have basic understanding of few modules to design this project.Next thing is to write software code for it. Before going to this section, first we should have clear picture of aim of the project. AIM: Our aim is to switch ON and OFF any of the home appliance(i.e we are using light bulb here) by using Tv remote. 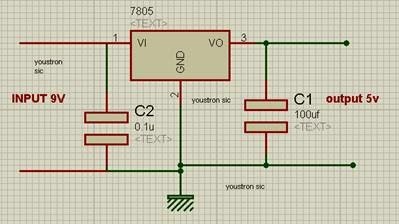 In general to do this, we need something like sensor to detect the IR pulses from tv remote and a relay. 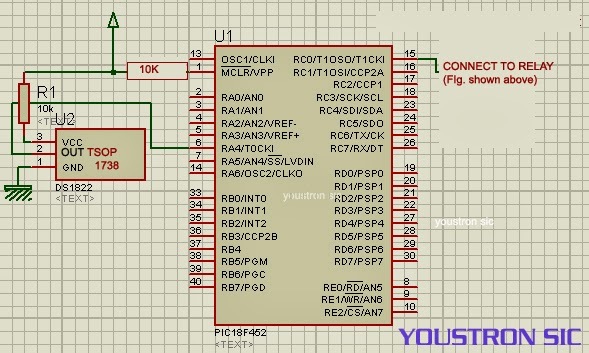 >>we connect 'out pin' to microcontroller. I will not go much deep into its working, just one important point to note is that, its output is active high(1), i.e whenever it senses the ir rays then its output will be low(0). 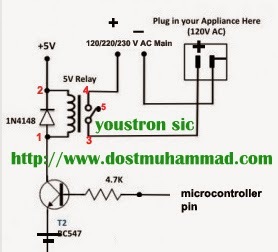 Output from remote: when ever remote key is pressed it transmit pulses. These pulses have different frequencies depending upon the different key pressed.Dont worry about the protocols of the remote , just we need to know the above step that's enough for our project. >> Above step means, if we press remote once then device will be made ON, if we press remote again then device will be turned OFF. We use counter to count the number of input pulses, variable 'flip' is to flip the output i.e from ON to OFF and from OFF to ON. This code will works well, i have tested it on hardware too..